On October 17, the Girls Volleyball teams took on Flintridge Sacred Heart Academy in the 5th Annual Dig Pink fundraising event for the Fight Against Breast Cancer. The event was awash in all shades of pink balloons and decorations. Both teams broke out their special pink uniforms for the event. There were food sales and clothing sales and the raffling of outstanding door prizes. All proceeds go to benefit the fight against breast cancer. A representative from the Side-Out Foundation attended the Dig Pink event and reported that Chaminade is the number three fundraising school in California and number ten in the nation for total funds raised through Dig Pink Game events. 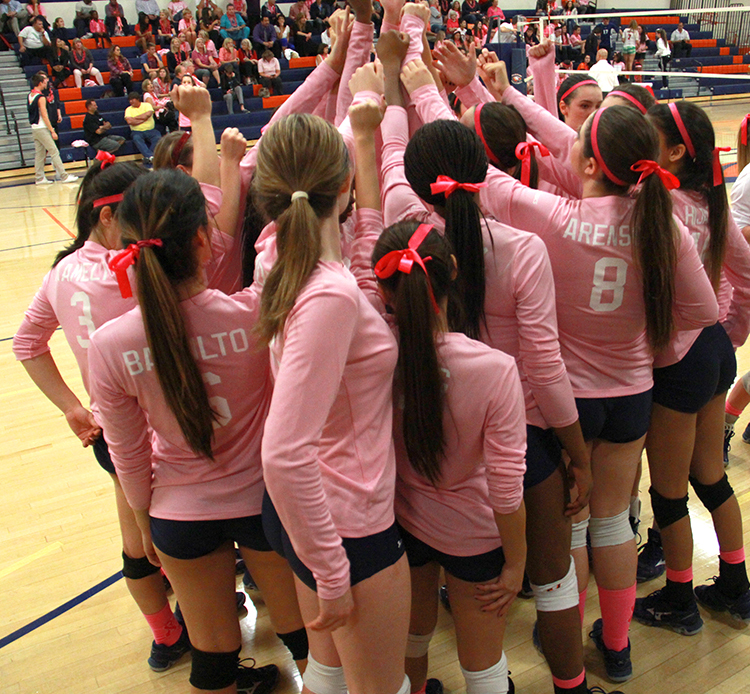 This entry was posted in Athletics, Girls Volleyball, Spirit and Community by Chaminade News. Bookmark the permalink.